Think Ahead and Save!! — Still need a great coat for winter? 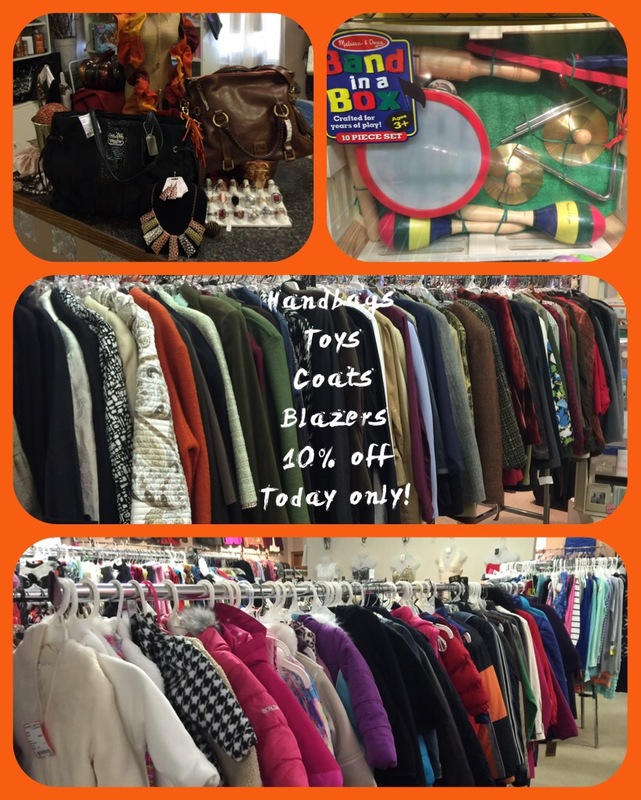 We have a great selection of coats, jackets and winter accessories at a fraction of what you’ll pay elsewhere! And, we have all the brands you love from American Eagle to Michael Kors, Calvin Klein, Talbots, Wilson Leather and much more! Today only save 10% on all coats, jackets, blazers and handbags! That’s right, everyone needs a new handbag to wear with that great winter coat! While you’re in, start your holiday shopping at Another Look with our unique inventory of new items like jewelry sets for only $10 and Melissa & Doug toys now 15% off our already low price! 10% off Today Only!! 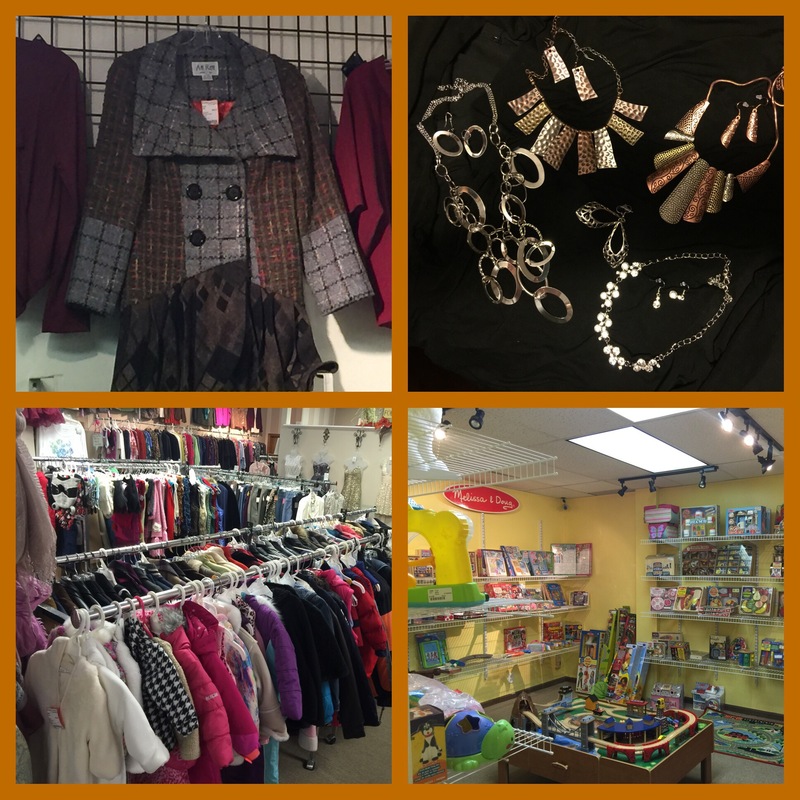 — Have you been in lately to have Another Look at our great selection of NEW Melissa & Doug toys, awesome handbags, winter coats, blazers and jackets? If not, then today is the day! If so, you’ll want to hurry back to take advantage of this great deal! Shop today only and receive 10% off all handbags, coats, blazers, jackets and toys!! A great day to start your Christmas shopping or grab that coat for what is soon to come! While you’re in, you’ll also enjoy 75% off tan and brown tags, $2.50 capris, and 3 tag colors priced $1! Don’t miss out! Open today 10-6! Remember, Recycle, Reuse, Reduce the Impact on our Precious Earth! Shop Resale! Recycle those nearly new homecoming dresses and pocket some cash! 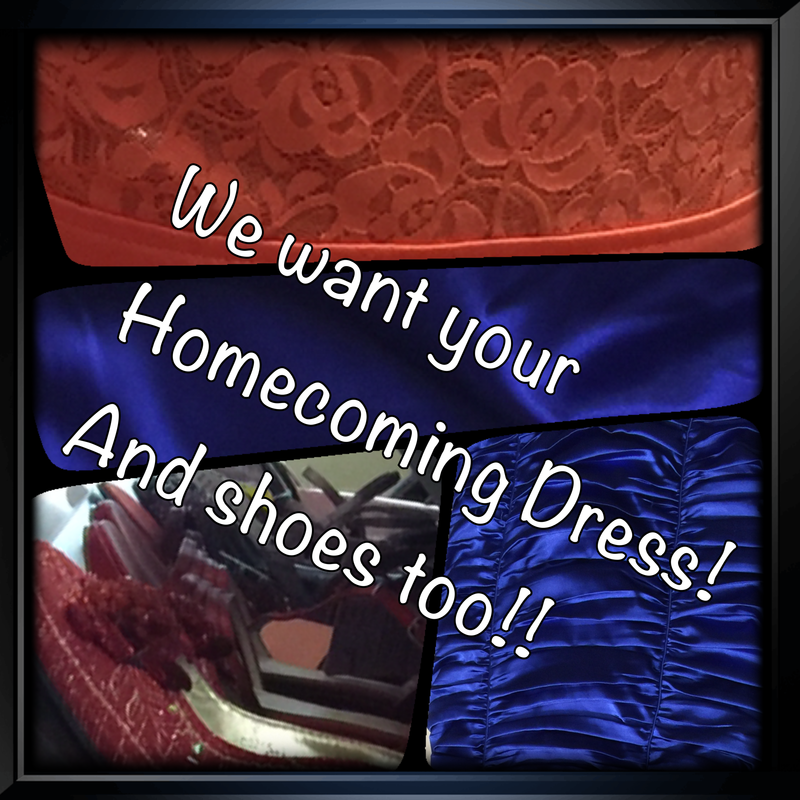 Consign your homecoming dress and accessories with us and make 50% of the selling price. And, do it before October 31st and you could win $50 cash! Don’t delay, the sooner you get it to us, the faster you make bank!